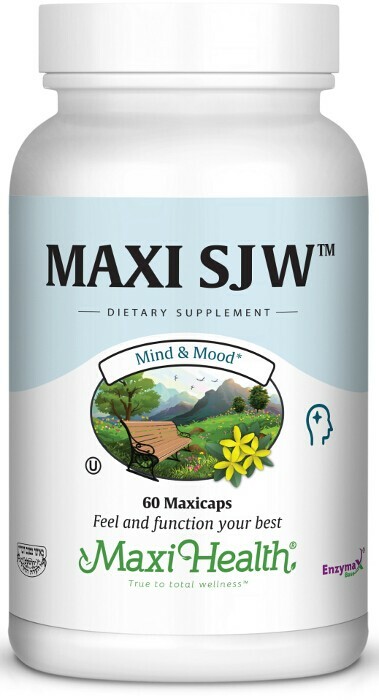 Maxi SJW is our combination of St. John's Wort and Spirulina. These herbs have been shown to be useful for supporting your general well being and are a mild, safe, natural remedy for occasional use. We use a standardized extract fo St. John’s Wort and Earthrise® Spirulina. Other Ingredients: Vegetable cellulose, rice flour, malto-dextrin, silicon dioxide, Enzymax® (calcium carbonate, bromelain, papain, lipase, amylase, protease, silica).